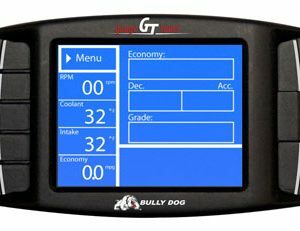 The Triple Dog GT is an all in one downloader, monitor and tuning device. 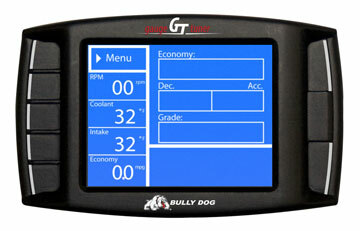 The GT features multiple power settings with the ability to adjust drivetrain and user settings. 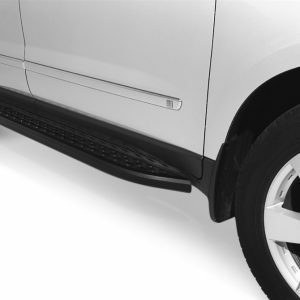 In addition, the GT line features all of the same gauge/ monitoring functions as well as the advanced Driving Coach software aiding drivers in maximizing their fuel economy. Triple Dog GT is the most versatile product on the market. One part number works on all Dodge, Ford, GM & Nissan gasoline powered cars, trucks, SUVs and vans. 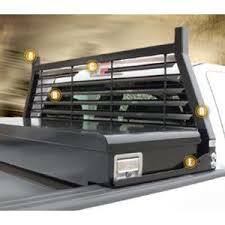 It can be transferred from one vehicle to another and can be updated online free of charge as new features, vehicle applications and product updates become available.